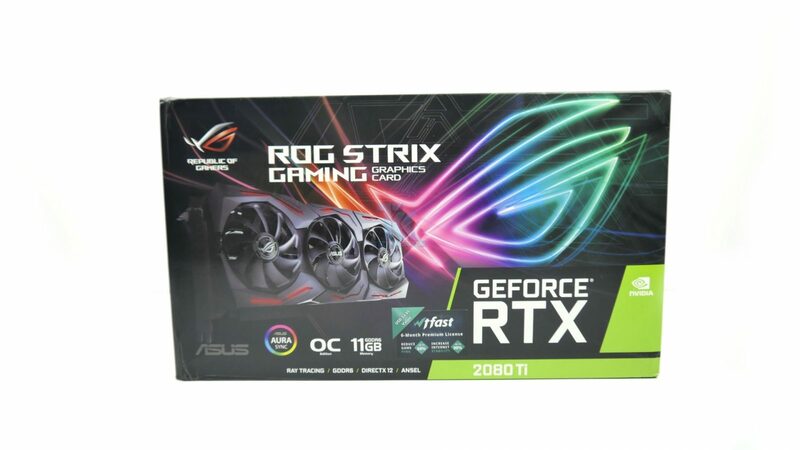 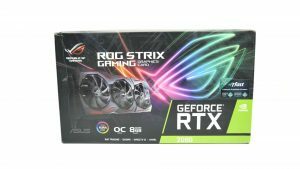 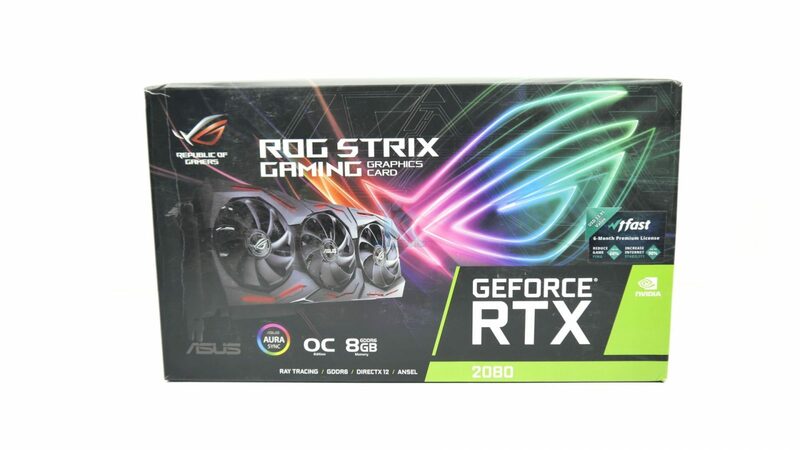 Asus ROG STRIX GeForce RTX 2080 Ti and 2080 comes in identical Asus ROG graphics card box as all previous cards from past few years are coming in, with card picture on top and features overview at the back. 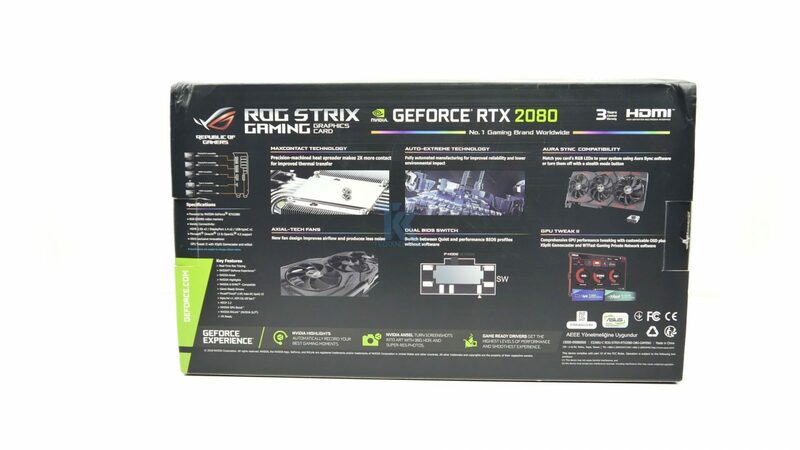 As you can see both ROG STRIX GeForce RTX 2080 Ti and 2080 comes with same triple fan new DirectCU III cooling solution design which been improved to handle the new GPUs higher TDP, though the looks of the cooler are little outdated as we are seeing this design for two years now. 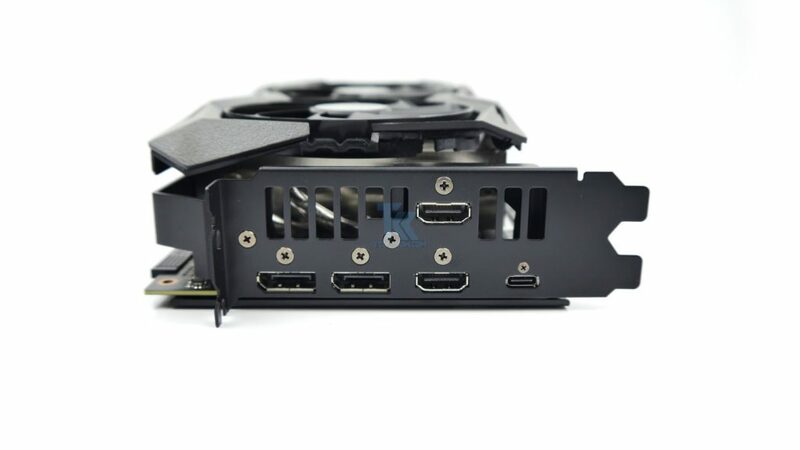 Also, new cooler design comes with new Axial-tech fans, which is a more powerful and efficient fan than previous ones. 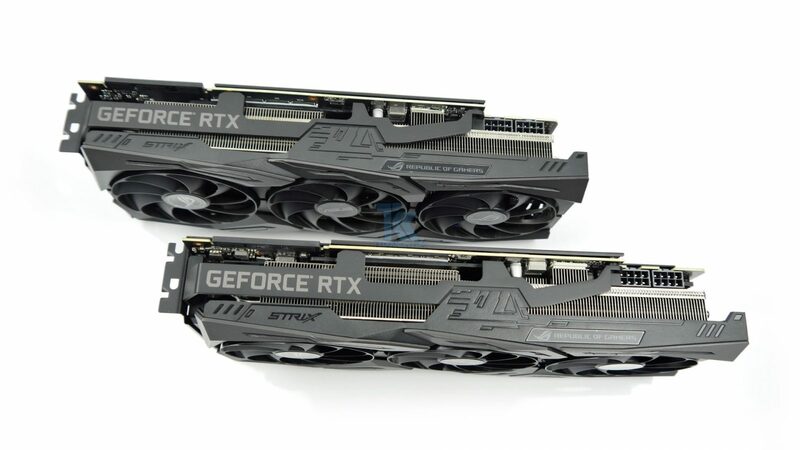 Both cards are 11.8 inches in length and 2.5 slots thick. 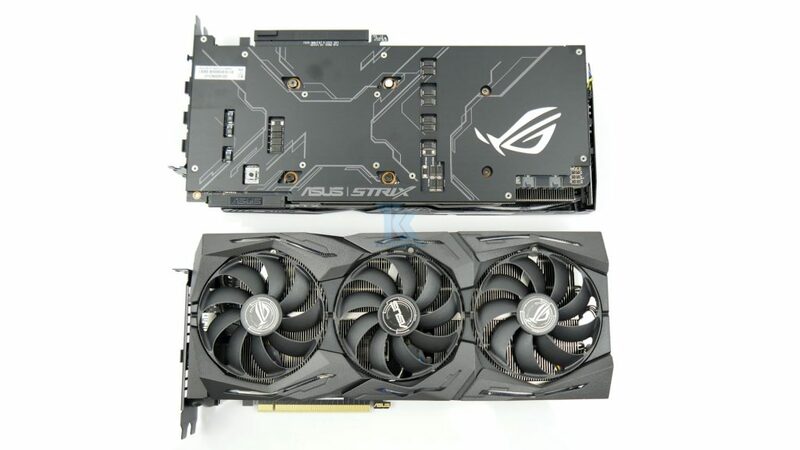 In the back, ASUS didn’t make any changes to the back plate design from the previous cards, with a big ROG eye which is RGB illuminated. 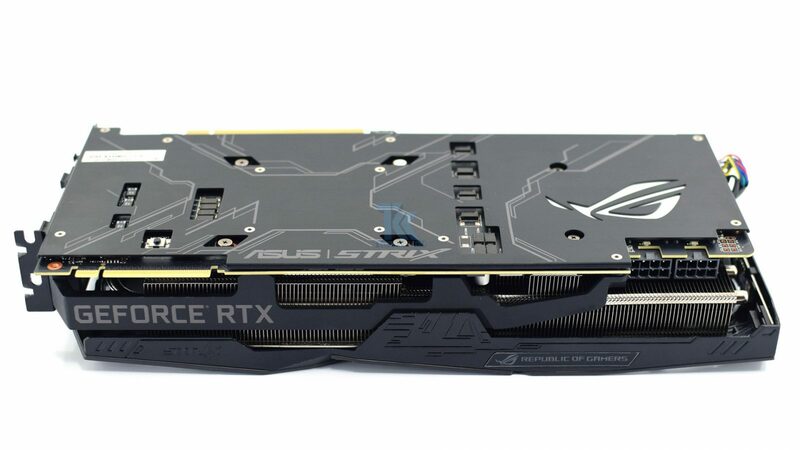 A small SMT button lets you quickly turn off all LED lighting on the card. 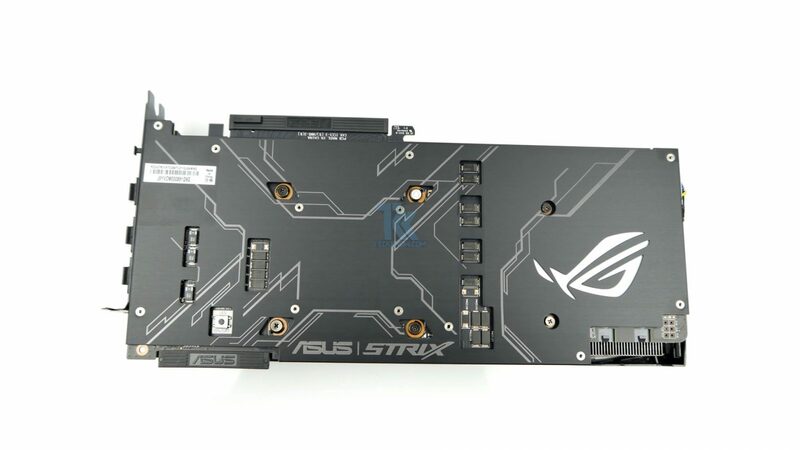 Both cards feature dual 8-pin power connector powers. 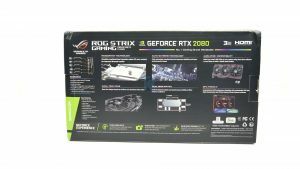 On the left corner, we can see the new NVLink as a physical layer for its next-generation SLI technology. 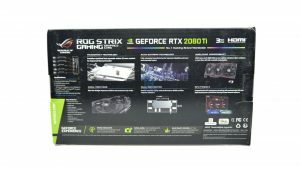 Which offers enough bandwidth for multi-GPU rendering 8K 60 Hz, 4K 120 Hz or any other high resolutions display output. 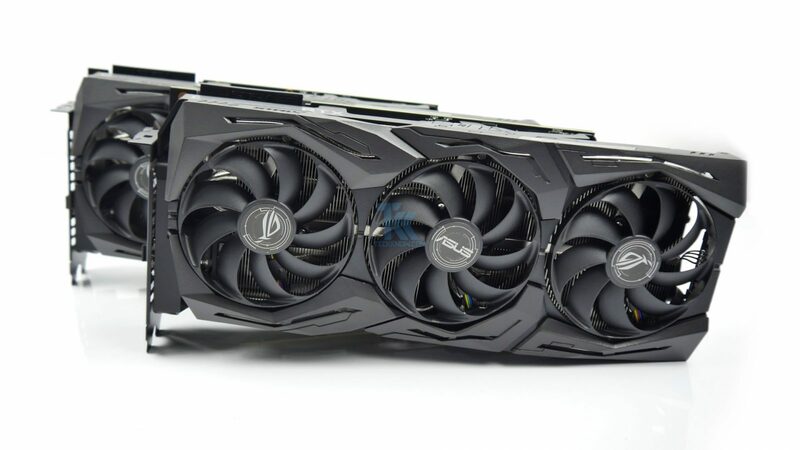 The NVLink is a point-to-point link between your GPUs and so, latencies will be lower compared to previous SLI tech. Ones again both card offers identical display connectivity options include three standard DisplayPort 1.4a, one HDMI 2.0b, and a VirtualLink connector, which is basically USB-C with DisplayPort routing and USB-PD, so a single cable can power, display, and take input from your VR HMD. 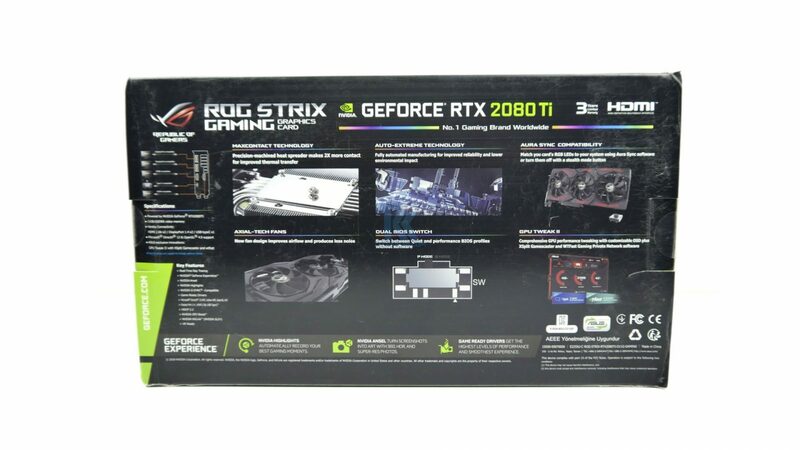 In the rear side of the card, we find two 4-pin PWM fan connector for case fans, which will control by the card to give maximum airflow over the card. 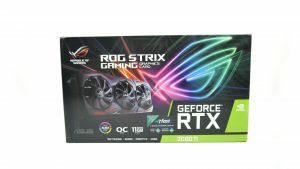 ASUS also added an RGB header which allows you to connect your case RGB strip with the card and control by the AURA software.